Missouri has a specific statute (RSMo 273.036) which addresses liability for dog bites. 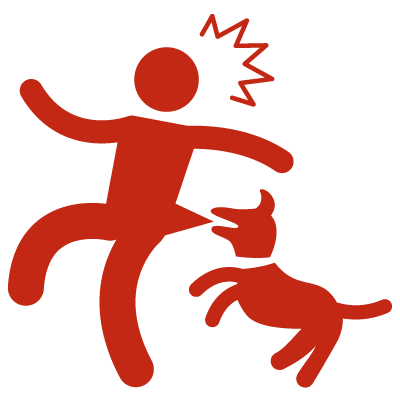 The statute provides that the “owner or possessor” of a dog is “strictly liable” for damages caused by a dog bite, IF the dog bite happened (a) “without provocation” and (b) the person was bitten on public property or lawfully on private property. In contrast to prior Missouri common law, it is not necessary to prove that the owner or possessor of the dog knew – or had reason to know – that the dog had dangerous propensities. In short, absent rare circumstances, if you get bitten by a dog in Missouri, you have a claim for all damages that arise from the dog bite — this includes, for example, damages for lost wages, medical bills, disability, and pain and suffering. In addition to a claim based on the Missouri statute, common law claims can also be alleged for premises liability and negligence. The law in Kansas regarding liability for dog bites differs from Missouri law. There is no Kansas statute which addresses dog bite liability. Kansas common law provides that a dog owner (or someone who possesses or harbors a dog) is “strictly liable” for damages arising from a dog bite if the owner knows or has reason to know that the dog is abnormally dangerous. Under the strict liability analysis, the owner is liable even though the owner had exercised reasonable care to prevent the dog bite. As in Missouri, there are also other common law causes of action that can be pursued for dog bite injuries. Promptly get the necessary medical attention – do not delay in seeking medical treatment! Promptly call the Animal Control department for the county or city where the dog bite occurred. The Animal Control officer will make an investigation and will determine whether the dog is up-to-date on vaccinations. Take photos of the dog bite wounds. Take photos of each wound, no matter whether the wound is significant or relatively minor. Continue to take photos of the wounds as the medical treatment progresses. If the dog bite victim is a child, the child can suffer significant emotional and psychological trauma that may not be immediately noticeable. I strongly recommend that children who’ve suffered a dog attack get prompt treatment from a child counselor/psychologist.